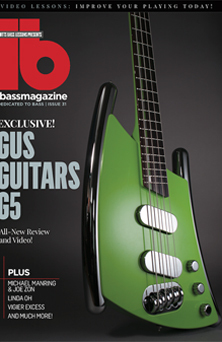 Nick from ibass has just reviewed the new Gus G5 bass in the latest issue (31) of the magazine. In his Editor's Letter, he comments "For a bass-addict like me, it's the G5 from bass builder Simon Farmer that's shot straight to the top of my most-wanted list". From the review..."With it's unconventional design, it couldn't be more cutting edge, yet it still feels almost instantly familiar. It may look radical in its design, but it feels perfectly natural to play". There are some lovely photos in the magazine too and a great video test by Luke Capon. 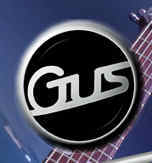 The G5 is my latest bass design and unlike the carbon fibre composite G3, is an all-wood construction, using a combination of Maple, Poplar and Cedar.